My daughter’s headband collection has gotten a little out of control lately. They have been thrown into a large basket in her room so a lot of flowers get smashed and I always forget what ones we have because they’re buried in the mess. 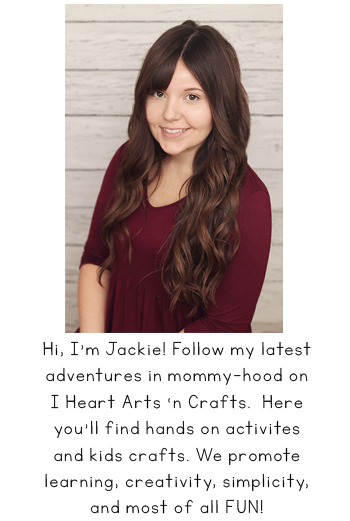 I recently came across Sunshine Shoppe Supply which offers a large variety of DIY craft supplies and children’s boutique clothing at near wholesale prices. 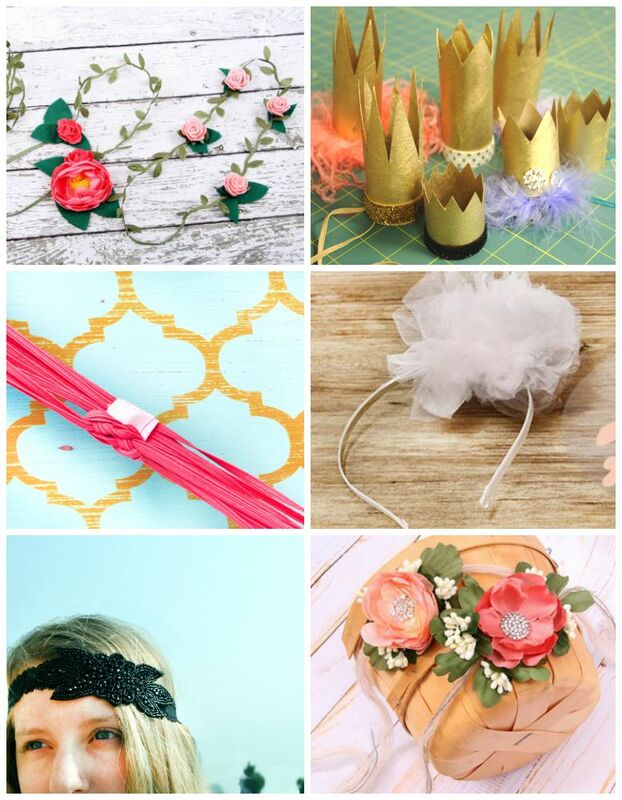 One of my favorite items are the Headband Station Kits that include everything you need to create your own gorgeous headbands. You can choose from a variety of themes and colors, each box also comes with helpful directions and sizing guides. I was so excited to receive my first headband kit, I used the Headband Station Kit Version 9.0. I love the glam look of this kit and the colors! 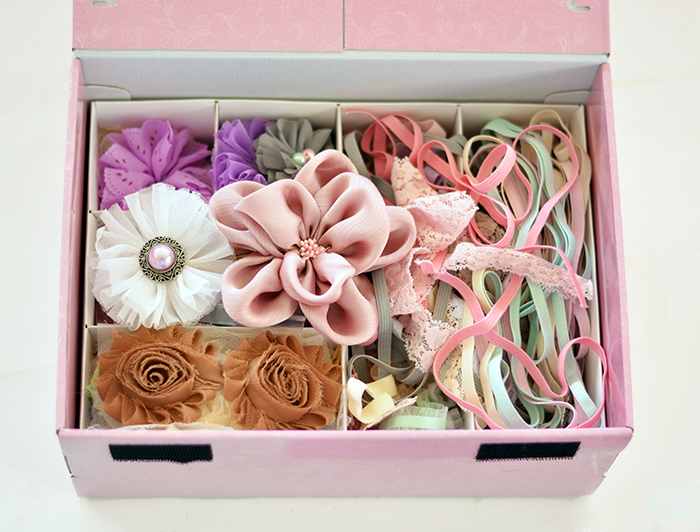 With this kit you can make up to 50 headbands so I had to get our headband collection under control. I created this super easy headband and hair bow frame holder using just a few supplies and only costing me $10 to make! 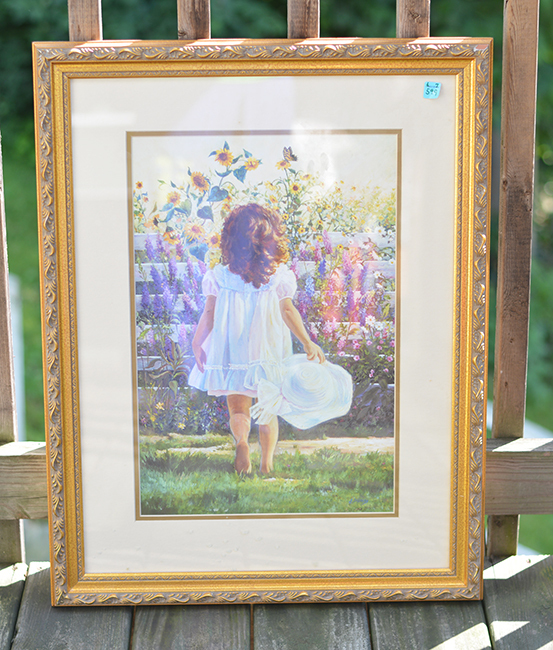 I was able to find a very large decorative frame at our local thrift shop for only $5. Choose what color you’d like for the frame and spray paint the frame that color, mine needed three coats of paint. 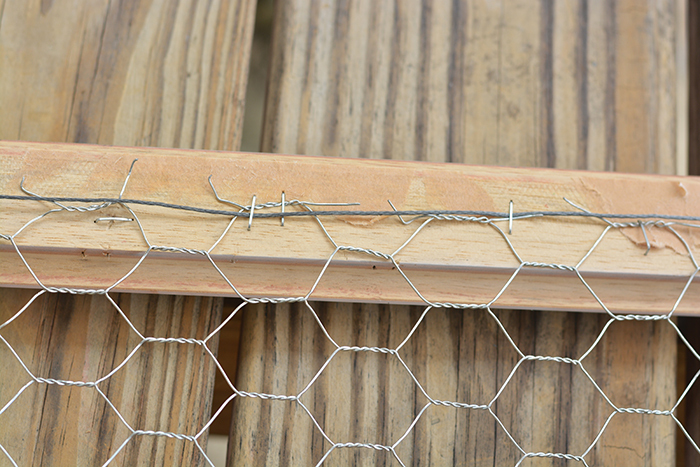 Next cut your chicken wire to the shape of your frame leaving about an inch extra on each side so that you have room to staple it to the back. I felt like the frame was missing something, and there were a ton of gorgeous shabby chic styled flowers in my head band kit from Sunshine Shoppe Supply so I used a few to decorate around the edges. 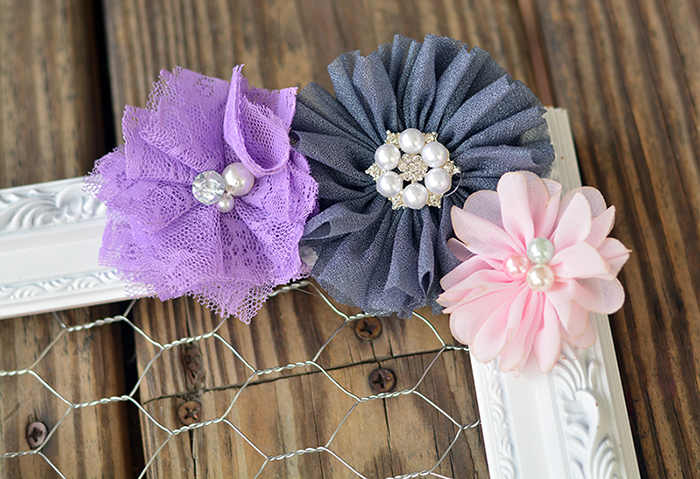 If you’re using hair bows you can clip those right onto the chicken wire, but for headbands you’ll need to use clothespins. 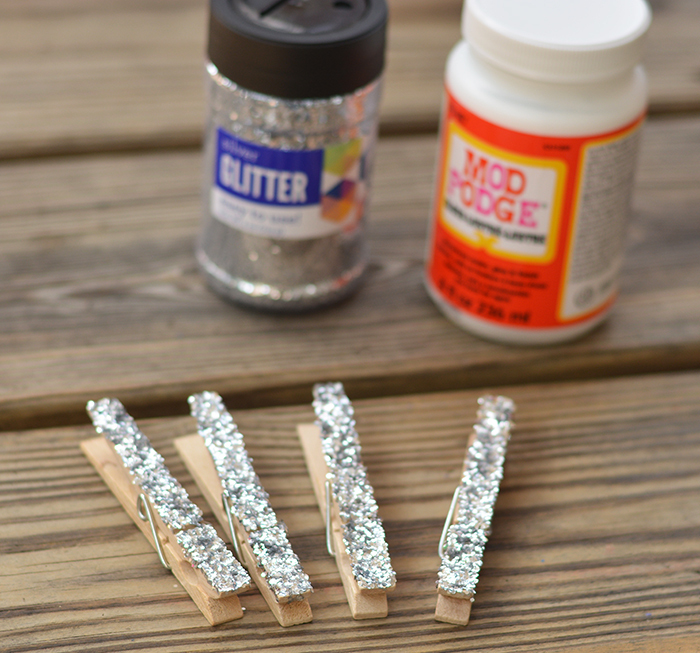 Instead of using plain clothespins I added some modge podge and silver glitter to the ones I had…because everything is better with glitter! 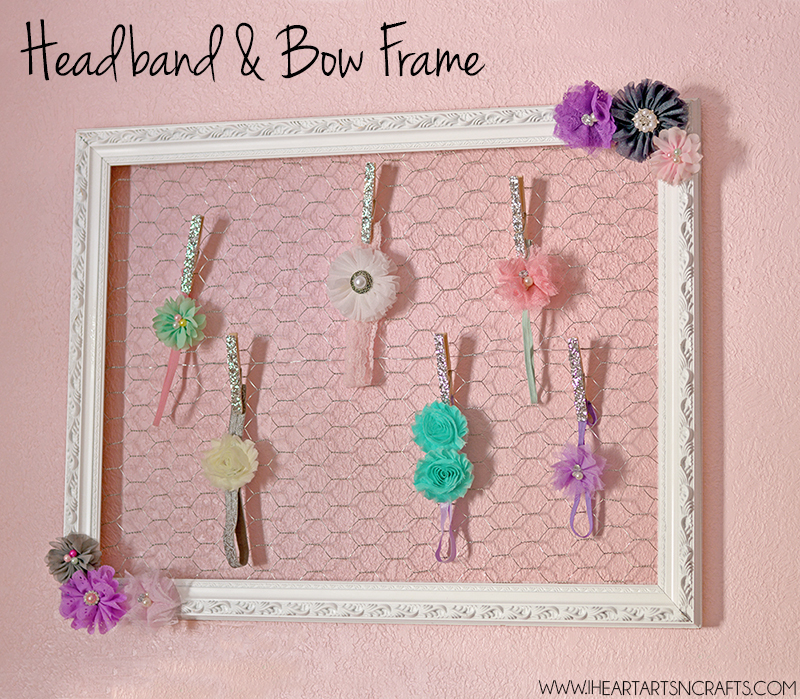 After the clothespins are dried, hang up the frame and display your hair accessories! 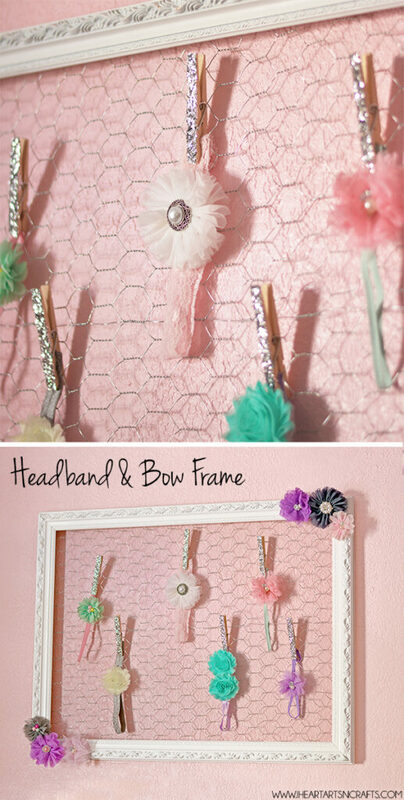 The headbands displayed on our frame, are from Sunshine Shoppe Supply. Looking for even more fabulous headbands to fill up your frame? 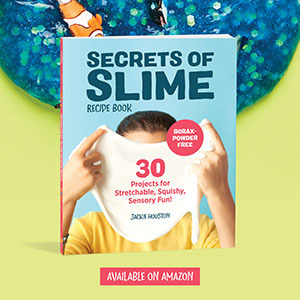 Check out these tutorials below! Make sure to follow Sunshine Shoppe on Facebook, Twitter, and Instagram so you don’t miss any new products or promotions! This is a sponsored post written by me on behalf of Sunshine Shoppe. Opinions are 100% my own.